When you hear the word “Peru” you probably associate the word with Machu Picchu, amazing cuisine, and an incredibly rich culture. 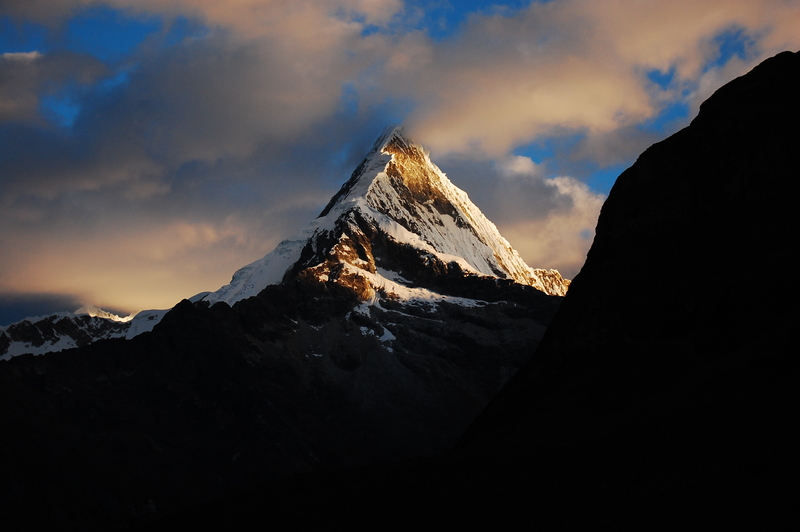 However, when you think of this South-American marvel, the Cordillera Blanca is what should cross your mind. The Cordillera Blanca is a mountain range located in the Andes. It extends for 124 miles, is 19,690 ft tall, and has about 700 glaciers which give it its name “the white mountain range”. This mountain range is extremely important for Peruvians because the frozen peaks are the main water supply for most of Peru. These mountains are also the home of some of Peru’s most incredible towns, delicious food, and celestial landscapes and views. Which probably makes it the best secret destination of South America. 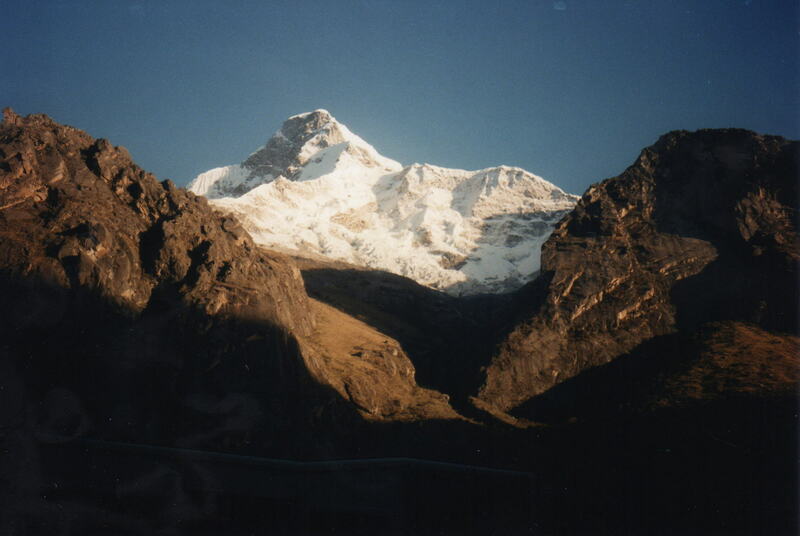 In 1975 the Peruvian government made the Cordillera Blanca a part of the Huascaran National Park, and ten years later it became a UNESCO World Heritage Site. UNESCO gave the 840,158 acres of land the title because of its ecological value. The beauty of these place truly relies on its natural richness. The combination of altitude, rough terrain, and water provide unique conditions that impact the biodiversity of the area. In the skirts of the Peruvian mountain lays Huaraz, a rustic and magical town that could be referred to as the heart of the Cordillera Blanca. A few decades ago only the locals and a few explorers knew about this town. 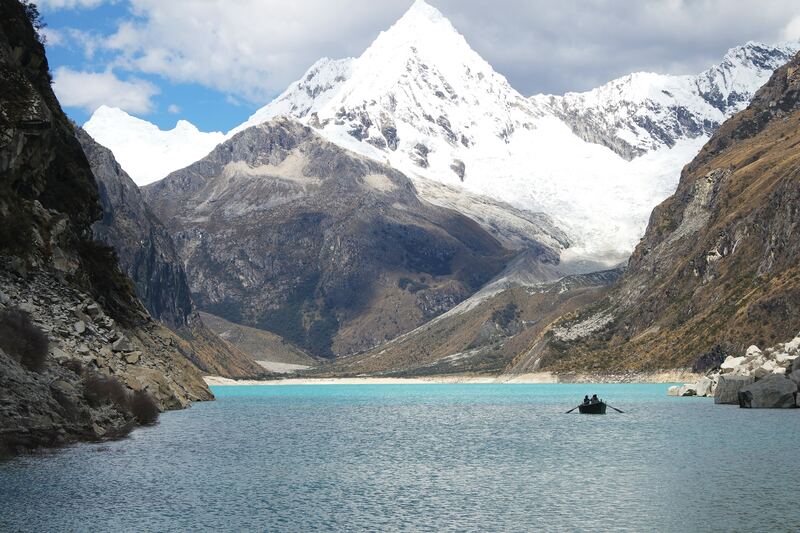 Today, Huaraz has become the center of activities of the Peruvian mountains. Backpackers and adventurers from all over the world roam the streets of the village looking for adrenaline loaded experiences. 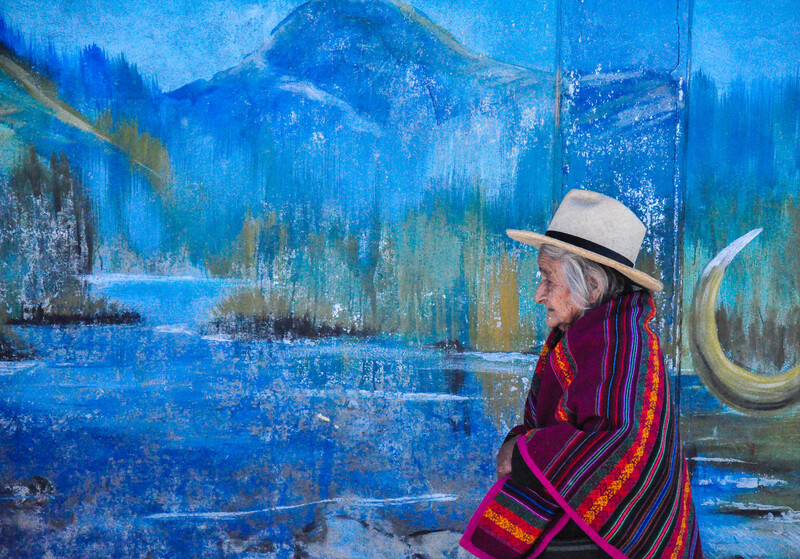 It has been said that the people in Huaraz are probably the most hospitable people in Peru. The locals are extremely welcoming with visitors, because the town has stayed untouched by urbanization. Chances are, they will offer you delicious and authentic Peruvian food. Huaraz is an 8-hour drive away from Lima, which makes it easy enough to get to. In order to get there, first you must take a flight to Lima. There you’ll find a wide range of transportation services. There are a few public bus routes that can take you to the town, or if you are traveling in a small group, you and your companions can book a private bus. Although you can trek these mountains all year round. The Cordillera’s high altitude causes the climate to have extreme variations. So you should always prepare for the worst. In the mountain areas, the seasons are divided into two: the rainy season and the dry season. To avoid the drastic temperature changes you should visit it during the dry season. The dry season for Cordillera Blanca starts in April and ends in October. In addition, some of the Cordillera’s most popular routes, such as the Santa Cruz and Huayhuash treks are closed during the wet season. So if you are planning to hike these paths you should definitely plan your visit sometime between Spring and Autumn. 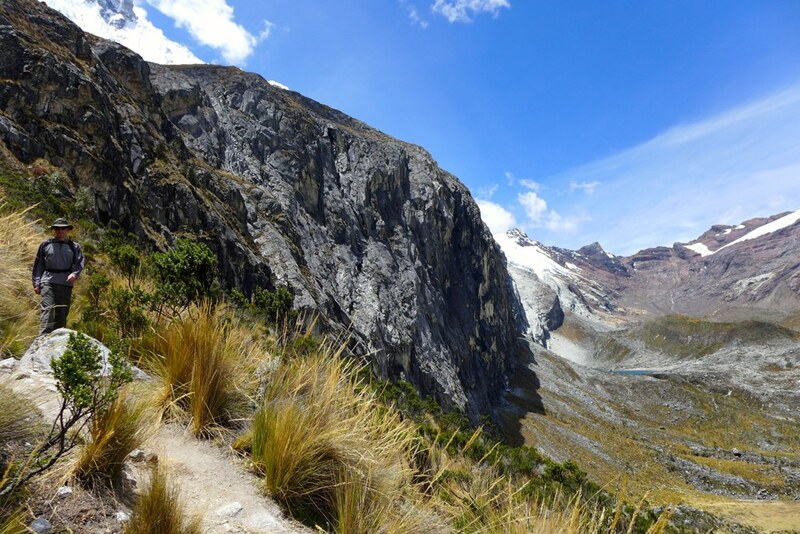 Trekking the Cordillera Blanca is something that anyone can do. The different routes, the cheap entrance fees, and the experienced guides make this destination for all kinds of expeditions. In addition, this mountain range is much less crowded. The reason for this is that the place is not as well-known as the mountains that are closer to Machu Picchu. So if you don’t like crowds this will be the perfect place for you. It doesn’t matter if you have a tight budget or little time to explore. This part of the Andes will have an option for you. Since it takes 10 days to complete, the Huayhuash trek is perfect for those looking to escape the stress of daily routine. This path will completely submerge you into nature. You’ll be surrounded by fresh winds and spectacular views of the lakes and the mountains. This expedition is done in groups of 10 to 15 people, and you’ll have the opportunity to meet people who share your same passion for adventure. 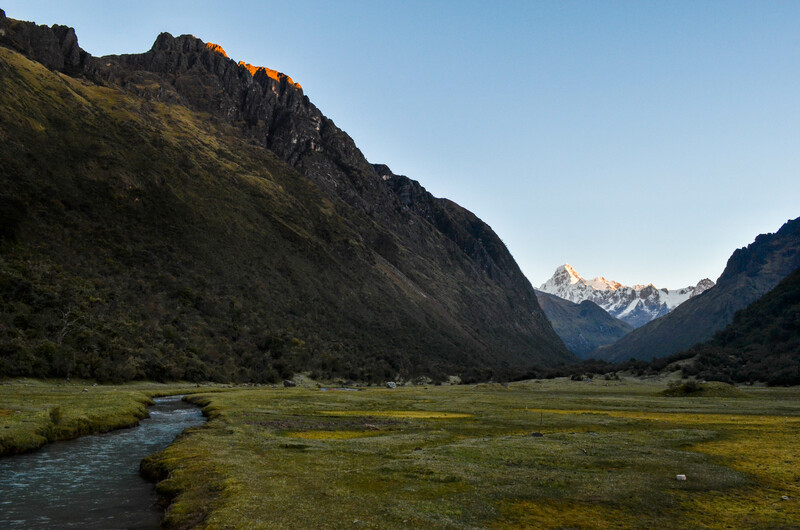 The Huayhuash trek is a very physically demanding way to explore Peru. Considering that you will hike from 3 to 9 hours every day to complete the circuit. 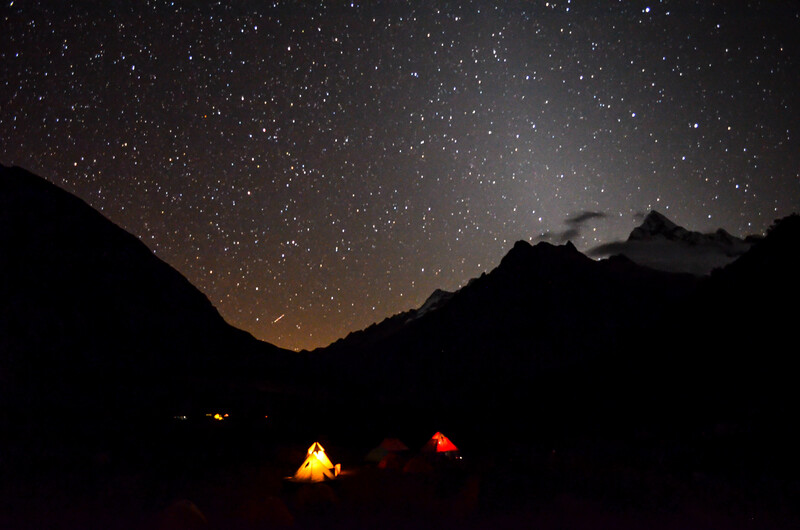 Therefore this experience is recommended to those who have some trekking experience at high altitudes. 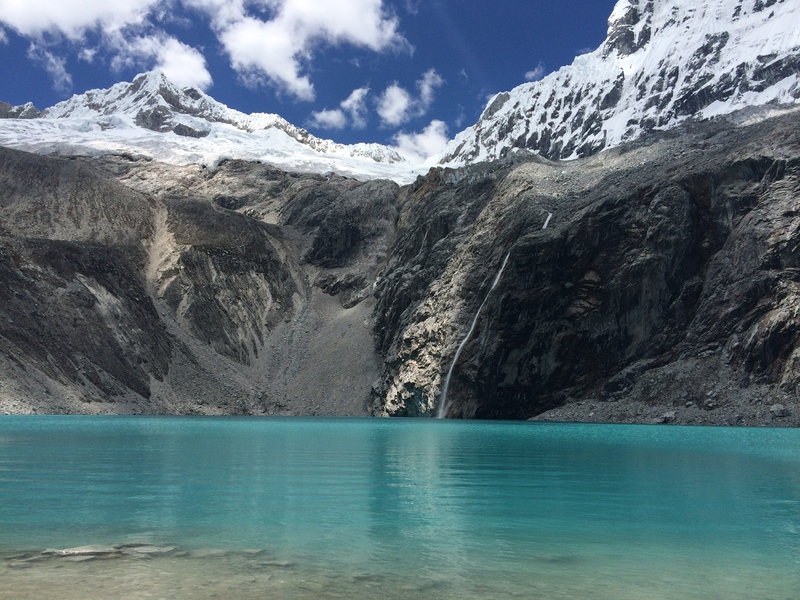 Laguna 69 is probably the most popular trek of the Cordillera Blanca, and it is easy to see why. This beautiful route is ideal for those who don’t have much time but still want to have a once in a lifetime experience. The ascent only takes two to three hours to complete. The trail goes through the Chacraraju mountain until you reach the lake that sits below the glaciers. This is truly a magical place because the water of the lake is truly the bluest water that you’ll ever see. In addition, Laguna 69 is the perfect place to start training for more demanding routes. Take into account that this path is 7,000 ft above sea level. 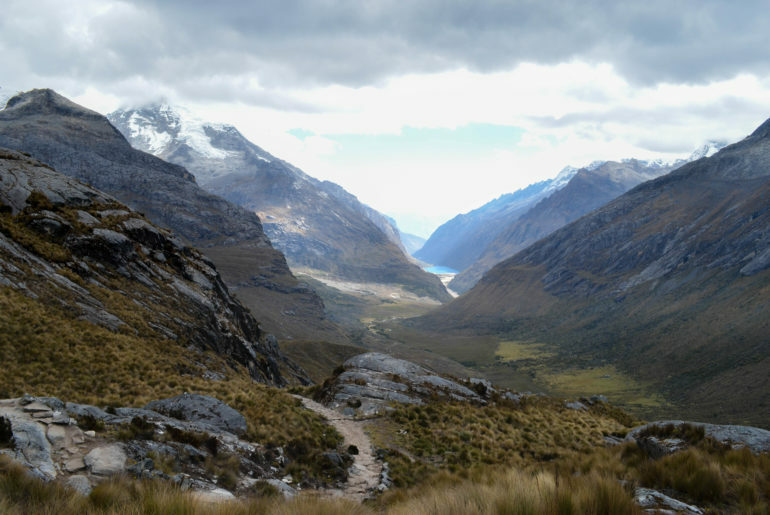 So you should arrive at least one day before the hike to Huaraz. This will give your body a chance to get used to the high altitude. 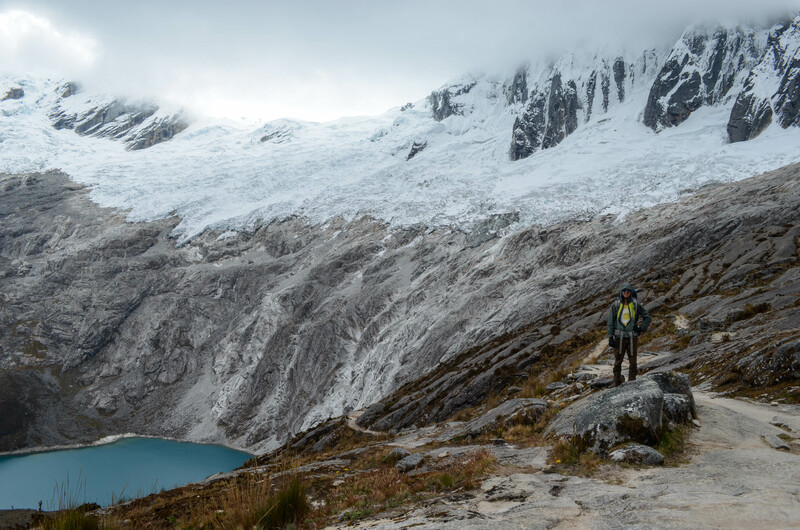 You could say that the Santa Cruz trek is the happy middle experience between the other paths of the Cordillera Blanca. This expedition consists of walking approximately 30 miles during 3 to 9 hour hikes over the course of 4 days. 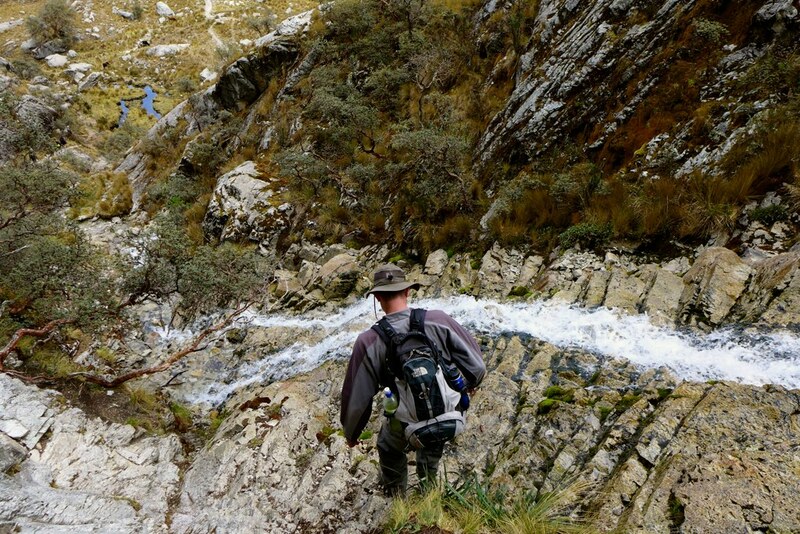 If you choose the Santa Cruz trek as your Huaraz expedition you’ll live a unique adventure. With good tour packages a local chef will accompany you during the trip. This will give you the chance to try authentic Peruvian food while enjoying the breathtaking views. Completing the Santa Cruz trek is a very physically demanding experience. 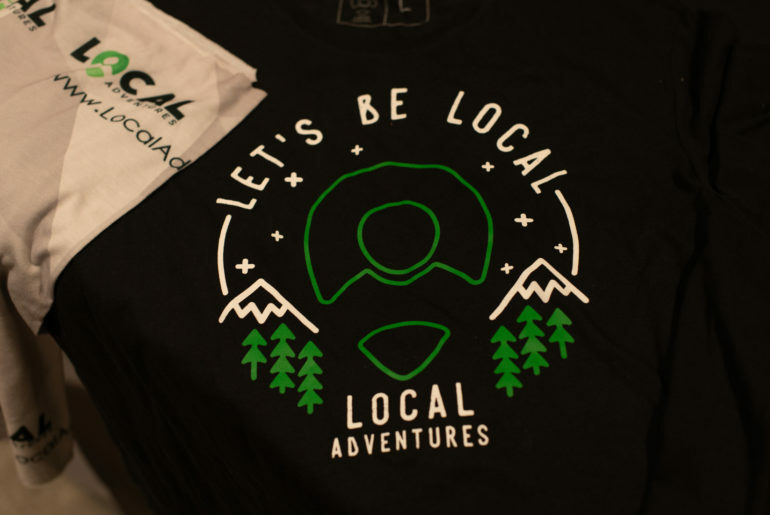 So we recommend the adventure to those who have some trekking experience and an active lifestyle. Similar to any other high altitude expedition, it is extremely important to get to the starting point one or two days before you start hiking. Doing this will help you prevent getting mountain sickness. Plus if you arrive a day early you will have a chance to explore the amazing town of Huaraz. The small town of Huaraz in the Cordillera Blanca is the perfect example of why Peru is such an amazing place to visit. This place has everything; incredible hikes like Huayhuash, Santa Cruz, and Laguna 69, wonderful people and delicious food. So it definitely should be an item in any adventurer’s bucket list. Surely now when you think of Peru your mind will go straight to the best secret destination of South America, the Cordillera Blanca. She was born and raised in Mexico City, where she started her career as a food and travel journalist. Working with different national magazines she realized that her mission is to share her love for adventure with the world. When she is not working she is probably searching for new places with exciting flavors. 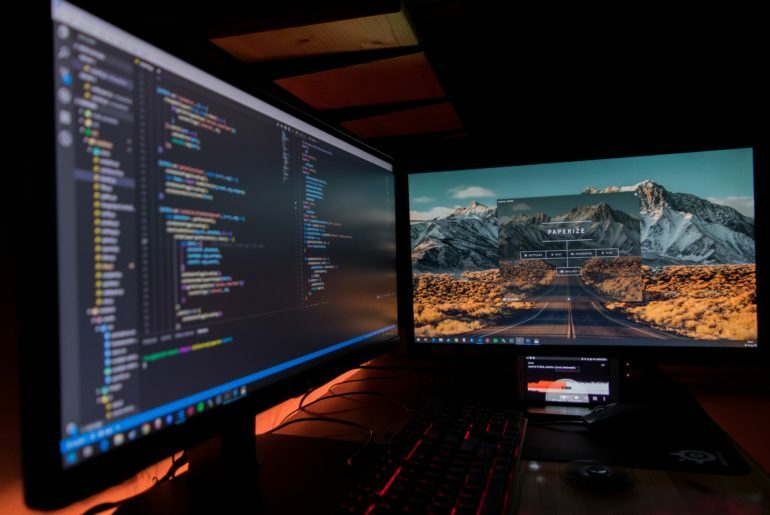 5 Questions from a startup to a market leader. The path from 0 to $1 million in adventure bookings.